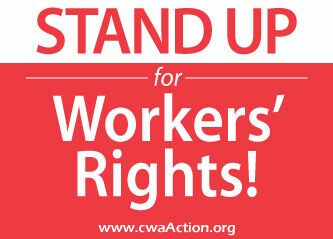 Stay up to date with all the latest in mobilization efforts by joining us on Facebook and following CWA 2201 on twitter! Call the local and find out how you can participate! Stay involved with social media!